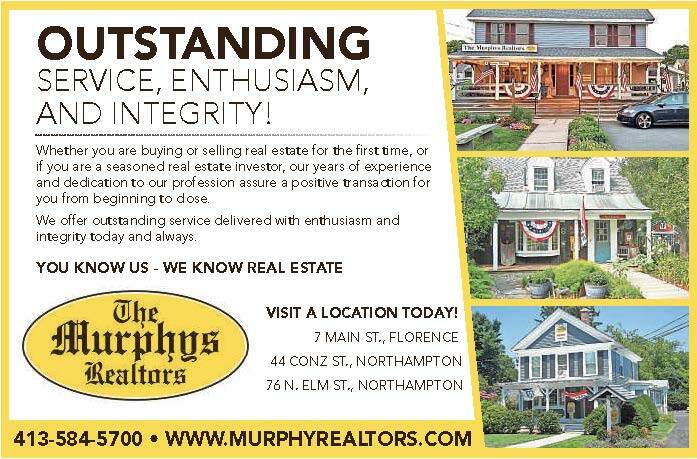 The Murphys Realtors, Inc. is a three-generation family business founded in 1960 by Edward S. Murphy. Gordon E. Murphy operated the brokerage from 1965 until 2000. 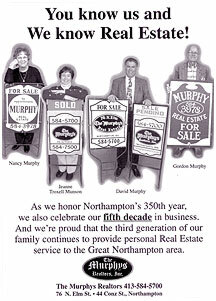 David A. Murphy, who joined the family business in 1979, assumed the role of managing broker in 2000. Throughout our business history in the Greater Northampton area, family members have been active participants in local civic and business organizations. Our goal is to make Northampton and the surrounding communities the best place to live, work and raise a family. With that in mind, we look forward to helping you with your real estate needs.